Get to know all about the top USB-C with power delivery power banks, wall chargers, car chargers for the laptop on the market today as well as what makes each of them tick. In today’s fast-paced world, you cannot afford to have your laptop or phones down even for a second. This could mean lost business opportunities, compromised relationships, and a host of other problems. It is for these reasons that you have to guarantee your devices seamless supply of power. The USB-C PD (power delivery) power banks and chargers come in handy at such times for most recent USB-C charging enabled laptop. 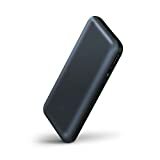 The power banks store the electrical energy which they subsequently use to power the various gadgets. We have sampled ten of the best USB-C with power delivery power banks, wall chargers, and car chargers on the market today. We are subsequently going to review them hereunder. 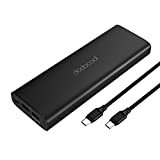 dodocool Power Bank 20100mAh Portable Charger with USB C 45W Output/30W Input, 2 USB Output, External Battery Pack for Nintendo Switch, MacBook Pro/Air, iPhone, Samsung Galaxy and More. Full 45W charging speed with unique USB hub functionality. 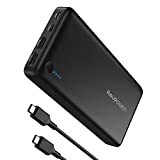 If all you have are all devices that support fast charging over power delivery technology including laptop, phones, and newer iPhone models, you want a power bank that has a high ampere rating and is also faster. No other power bank comes even close to this one. It indeed has an awesome charge carrying capacity. It does have one USB-C PD port and dual USB ports while is compact in size, and very durable. It shall fit your pocket and carrying case easily and will not at all impede your free movements. This is to mention that it comes along with two cables for your convenience. 1 x User guide & warranty and 24-month extended warranty. Power banks are potentially dangerous. They may often explode or predispose you to the risks of electrical shocks. This is why you cannot compromise your safety at all. And when you talk about safety, this indeed is the power bank to look up to. Comprising the built-in battery that is certified by the Underwriter’s Laboratory, this cell is pretty safe. It is also customized for your business trips, remote locales, and demanding terrains. Its charge storage mechanism is so reliable that it can even withstand 7 days of continual use! What’s more? It can even charge the gaming consoles and devices. 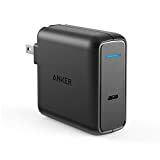 1 x Anker PowerCore Portable Charger, 1 x 30W wall charger. 1 x 60 cm Micro USB cable, 1 x 90cm USB-C to C cable. 1 x welcome guide, 18-month worry-free warranty. Sometimes you may never have enough time to recharge your batteries. It is at such times that you want a super-fast battery charger. This one is built for such circumstances. 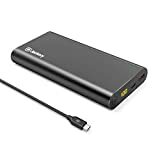 Of all the top power banks under consideration, it is the one that takes the shortest duration of time to generate the required outcome. Apart from being able to charge your devices faster, it also replenishes the stored charge just as fast. Its charging capacity is ultra-high and is subsequently able to charge repeatedly per charge. It is also accompanied by an 18-month warranty and is hence secure to purchase. 2 x USB-A out ports: 12W (5V/2.4A). 1 x Travel Pouch, 1 x User manual, 12-month extended warranty. If your search for a power bank for your gaming device, this could, in fact, be the one you might be looking for. Courtesy of being able to hold plenty of charges, you may count on it to power your iPhones and just about every other major electronics. It is also built to last. It does have a strong and durable matte finish casing. This is pretty great at withstanding strong impacts and other agents of abuse. Some of the top traits you may look up to from the power bank are the fast charging, enhanced conductivity, voltage surge protection, and automatic detection of charges. Just in case you are a frequent traveler, you will often find yourself with the need to handle different kinds of voltage ratings. This requires a universally compatible kind of power bank. You may have to pay some attention to this particular power bank as it closely mirrors these traits. Perhaps its most significant feature is the Smart AIQ technology. This one basically detects the current levels to determine the quantity to exude. This minimizes the likelihood of overcharging your device and with it, the associated side effects. Its battery indicator lets you know the progress of the charging at any given time. If you have never used a charger before, you want one that is simple to comprehend and engage. It is only this way that you will be able to get started well and enjoy the accompanying benefits with ease. No other charger is as simple and straightforward as this one. For a start, it is lighter in weight and very easy to hold. You will just have to unfold the prongs to be able to power it on and off. It does have a super-fast charging speed nevertheless. This goes a long way in expediting the process and pace of charging your electronics. Laptops, tablets, and smartphones consume huge amounts of electrical energy. This subsequently demands that the power bank used should equally be powerful. 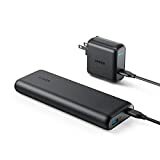 If you have these gadgets in mind while looking for the right power bank, try out this Anker USB C.
It does embody a premium build that comes in the form of the hard-wearing matter construction. This enhances its stature and prolongs its life. Its advanced USB technology is what makes it suited for charging the devices mentioned owing to the awesome power delivery capacity. If you travel a lot, worry not! Its compact size will let you carry it around with ease. Do you have the need to charge different kinds of devices at a time? If you answered ‘yes,’ you need one that can vary its performance to respond to the unique requirements of each device. This can only happen if the charger at hand is a universal one. Try this one out. It has the ability to identify the specific charge requirement for each appliance. It then goes ahead to vary the flow of current to meet the specific need of that particular device. 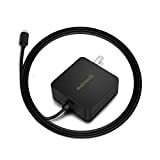 You may also look up to it for simplicity of use and seamless compatibility with a range of various electronics. Are you a regular motorist? If you answered in the affirmative, you badly require this power bank that is designed with the persons of your caliber in mind. Its most outstanding trait, which subsequently suits it for this role is non-interference with the car’s radio signals. You will also find it convenient to plug and unplug when in use. This is because of its standard USB port which is easier to engage. Other top features are the fire-proof material construction and certification by several standard agencies. With this power bank, you may rest easy that you will not pose any damages to your devices at all. 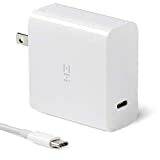 Most chargers are designed for specific kinds of devices. This means that you will often be limited in scope as you utilize them. The same does not apply to this one. It is intended to achieve the exact opposite goal. It has the ability to pair and charge all kinds of battery-powered electronics. This stems from its possession of several features. These include the compact design, underwriter’s laboratory certification, and the patented PowerIQ 2.0 technology. 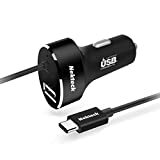 These combine to jointly charge your devices faster, expedite the transportation of the power bank, and safeguard your devices from excess voltage. This is the one to pick for your next travel. It is not enough to know about these power banks. You definitely have to take the next bold step to acquire and leverage their benefits. We, therefore, urge you to consider making a purchase of at least one of them. And spread the news as far wide as you can. You obviously want others to enjoy similar advantages, don’t you? If you don't have an account on our forums, you can use this comments section to share your issues, solutions, or any ideas related to the “The Best USB-C PD Chargers and Battery Packs for Laptop in 2019” topic.